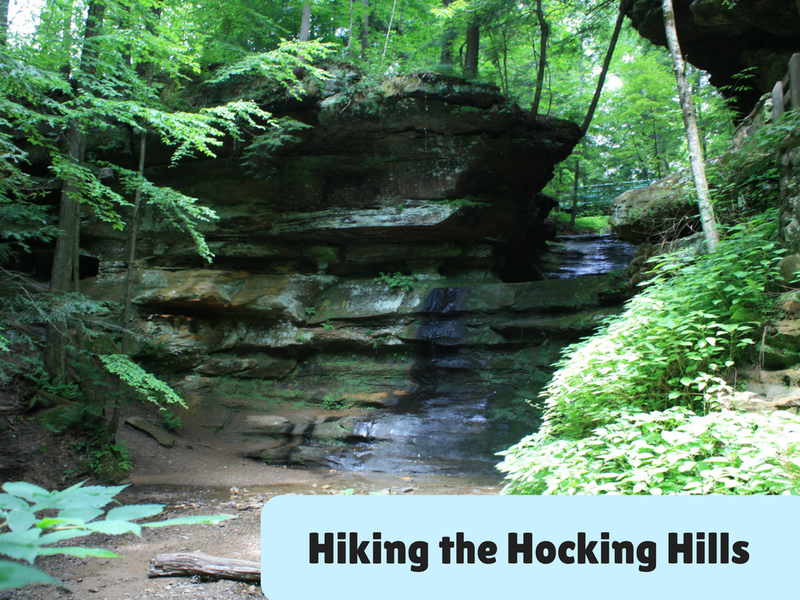 After a few days in the Shenandoah Valley, we headed to the Hocking Hills in Ohio for more hiking. Hocking Hills served as an intriguing contrast to our Shenandoah adventure. Much of our hiking in the Hocking Hills threaded through canyons, gorges and caves instead of high up in the mountains. The geology of Hocking Hills State Park is incredibly breathtaking no matter which section you hike. The Hocking Hills area is carved from Black Hand Sandstone that was laid down by ancient seas. The area was later carved out by the torrents of the melting Wisconsin Glacier. The dramatic rock cuts certainly give pause to the strength of these torrents. Hocking Hills State Park consists of various separate sections to explore. Each is striking, so you will be captivated by whichever you choose to explore. There are some fairly easy trails, some moderate and some a little challenging. I do recommend wearing hiking shoes as there may be some areas that are wet or have loose gravel. Glistening waterfall at Ash Cave. Hiking in Hocking Hills State Park elicited quite a few gasps for us as we climbed into caverns and spotted waterfalls. Many of the waterfalls you can walk right up to providing a magical experience -- and incredible photos! Walking into Ash Cave is like walking into a shell! Ash Cave was our first stop. When we walked into the cavern, we almost felt like we were walking into a shell. A neat place to wander around! We also explored the waterfall above. Next stop was Cedar Falls. Cedar Falls looks like a spoon dripping into a pool. Very beautiful and a spot you may want to stay at and contemplate for awhile. Then, we ventured to Old Man's Cave which reminded me of a gorge we explored in Iceland. 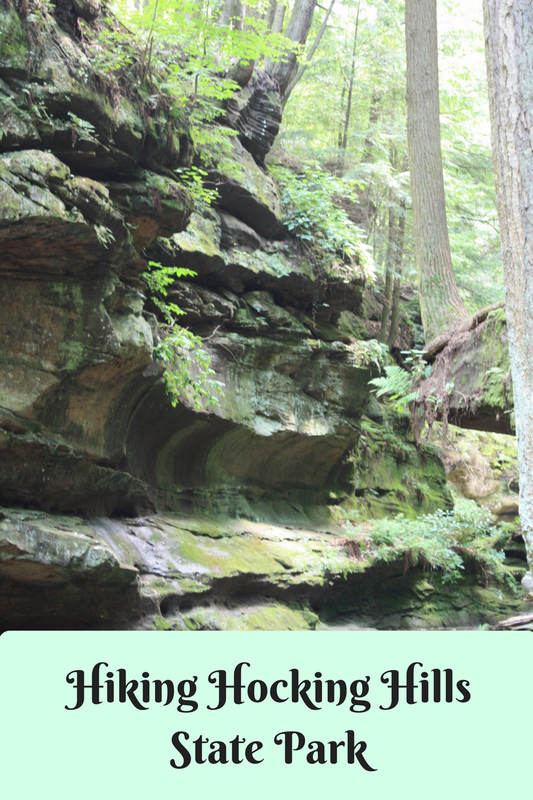 We loved Old Man's Cave so much that we visited it on each of our days in Hocking Hills. The gorge is a natural yet magical wonderland. Above you can see that there are plenty of places to explore throughout the gorge at Old Man's Cave. Take your time here! Our next stop was at The Rock House. The Rock House is stunning natural creation carved out of rock. The climb up may be challenging for some but is worth it. The views from inside are striking! Green trees seen through rock windows! Cool to see the trees peeking in from the rock windows! Emerald green landscape at Cantwell Cliffs. Next, we hiked at Cantwell Cliffs. You can hike an upper or lower trail there; we chose the lower. The canyon was so incredibly lush and vibrantly green -- it reminded me of Ireland, but not so far away! When we return, we will take the upper trail! Hocking Hills State Park gifted us an amazing nature respite. The landscape is absolutely stunning and gave us a much needed break! Hocking Hills State Park holds some of the most dazzling landscapes I have seen. Really worth a visit! Bring plenty of water and some snacks. Consider packing a picnic lunch. Be aware of uneven terrain. Consider renting a cabin in the area to further bask in the natural gems! There are many other outdoor activities to experience, so explore those as well! Ready to explore another stunning and unique landscape in the Midwest? Learn about Theodore Roosevelt National Park's Northern Unit from Prairie Style File. The layered and craggy badlands with incredible overlooks will inspire exploration!